“Cattle can often handle frigid temperatures, as long as they remain dry," says Amy Radunz, University of Wisconsin beef Extension specialist. The lower critical temperature is influenced by both environmental and animal factors including hair coat and body condition. The table below lists the estimated lower critical temperatures of cattle in good body condition with different hair coats. Cold stress increases maintenance energy requirements but does not impact protein, mineral or vitamin requirements. 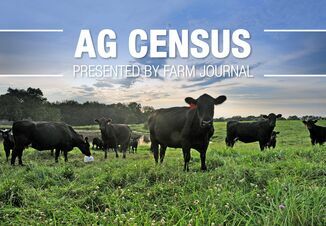 The general rule of thumb (for a cow in good body condition, BCS = 5 or greater) is to increase the energy density of the ration by 1% for each degree Fahrenheit below the lower critical temperature. Read more. That's why mud and cold wet conditions are much more difficult to manage than just the bitterly cold, she adds. For every 2°F the temperature drops, cows need an additional 1.1 lb. of total digestible nutrients (TDN) to meet their daily requirements below a cow’s critical temperature (see interactive chart below.) Read more. Windbreaks, both constructed and planted, can improve conditions for livestock in windy and cold conditions. Increasing the effective temperature that an animal is exposed to during cold weather keeps them comfortable, more efficient users of feed, and at a lower risk of cold stress which can lead to disease. Here are some design considerations. 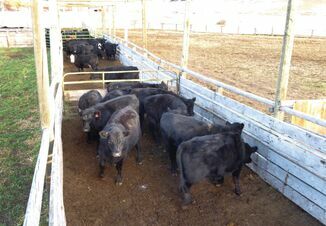 Load/unload cattle carefully, so cattle don’t slip on wet or frozen ground. Overcrowding does not allow animals to reposition themselves, which can lead to frostbite on individual animals. Close nose vents or bottom ventilation slats on the trailer, but allow for ventilation at all times. There are several ways ranchers can help rewarm newborn calves, but which is the best for the animal and it’s future health. Glenn Selk, Oklahoma State University Cooperative Extension emeritus animal scientist and editor of the OSU Cow-Calf Corner newsletter, warns newborn calves that are not found for several hours after birth and that have been exposed to exceedingly cold temperatures may become hypothermic or at least extremely stressed. In a Canadian study, animal scientists compared methods of reviving cold-stressed baby calves. Immersing hypothermic calves in warm water raised a calf’s normal body temperature more quickly and with minimal metabolic effort, than using being exposed to heat lamps or other warming methods. This method does come with additional management, however. Read more.